Your Thoughts on Marissa Mayer banning telecommuting at Yahoo! While I do think that this is a step in the wrong direction — I not 100% in agreement for some of the discussion. My two cents — work life balance and flexible workplaces are not just a “woman” thing or a thing for “moms” — I don’t have kids yet (unless you want to count my four -legged kiddos) and I want work life balance and flexible work arrangements and my sig-0 wants those things to. Making this just about the message that she’s sending working mothers is a little off to me — I feel that its an easy connection since she’s a woman and a new mother. IMO, if that’s the only argument that people are making, they are missing the point. There are tons of studies that show the benefits of flexible work environments and flexible work schedules and how they benefit the bottom line– the question that people SHOULD be asking it — that despite all that evidence that shows that flexible work arrangements are THE THING that drive happy employees, bigger bottom lines, and employee engagement — WHY would she make the decision to steer the company away from that — what does Yahoo! stand to gain? Is this a statement as to the overall productivity and culture of Yahoo! And speaking of culture — what is the culture at Yahoo like right now — and what has it been like since Mayer took the helm? Questions Questions Questions — I feel like I seriously need more information. Anyhoo — my two cents — take ’em or leave ’em — my ask of you — get into the discussion and really take a look at both sides of the debate. As for Yahoo! — certainly a story to keep watching as it unfolds — I for one am really interested to see how it all plays out. Making the HR connection, yours, thegirlinhr! PS — your thoughts on the nursery that she built adjacent to her office — ingenious or hypocritical? Why can’t a woman’s place be in the home and the office? The struggle for work/life balance is back in the spotlight since a recent Yahoo! memo decreed the company’s staff can no longer work from home after June 1. 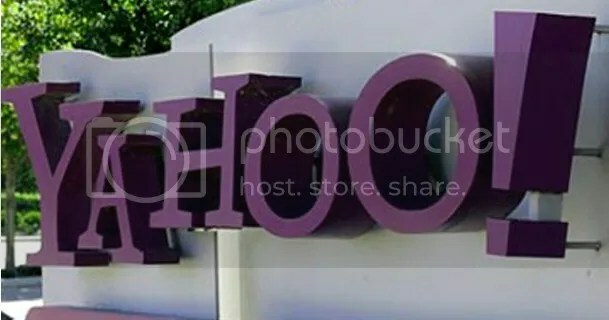 Parents reacted furiously online, accusing Yahoo! president Marissa Mayer (a new mom herself) of being out-of-touch with working-class families tha t depend on the flexibility of telecommuting . Mayer made history last year when she became the youngest female CEO to lead a Fortune 500 company — while five months’ pregnant. Working moms hoped she’d pave the way for a more family-friendly corporate culture. But Mayer took just two weeks off at her new gig after having the baby (her former Google employer, in contrast, gives five months’ paid maternity leave) and installed a nursery next to her office — a luxury many working moms could only dream about. Then came the memo restricting workplace flexibility — from a tech outfit expected to embrace the global workplace beyond the cubicle. via Marissa Mayer bans telecommuting at Yahoo! and becomes the mother of dissension – NY Daily News. Its more news in for the economy — gas prices are on the rise. Its certainly an economic indicators – and its something that many of your employees are thinking about. Its not the only reason, but its one to help consider in designing a work from home or remote working arrangement. This blog is mainly just to focus on the fact that the prices are up. I’m not an economist, but I can’t help but to think that the prices would continue to go up in light of the upcoming Spring Break holiday — and then a few months after that, its Summer break. So once again, your peeps are thinking about this – even if they don’t have children in school or college. Le’ts take a moment to prime the pump — can work from home programs work? What does a successful program look like? This is a topic near and dear to me — so keep your eyes on the current events and do a little thinking about what you think about the topic and we’ll explore it more on the blog. NEW YORK, Feb 10 (Reuters) – The average price in the United States for a gallon of regular gasoline rose nearly 25 cents in the past two weeks, up steadily since December as refineries passed along their costs, a widely followed survey released on Sunday showed. Gasoline prices averaged $3.5918 per gallon on Feb. 8, up 24.75 cents from Jan. 25, said Trilby Lundberg, editor of the Lundberg Survey. “The amount of change is very big,” Lundberg said. via Gas Prices Jump Nearly 25 Cents In Last 2 Weeks.